We explain and agree the appropriate IP strategy for your company (defensive-offensive). It will depend on your business objectives, the industry you are in and the appetite for using IP as a strategic asset. We will quantify the benefits and, as far possible calculate the money value of your IP, but equally important, we will also depict the future cost. 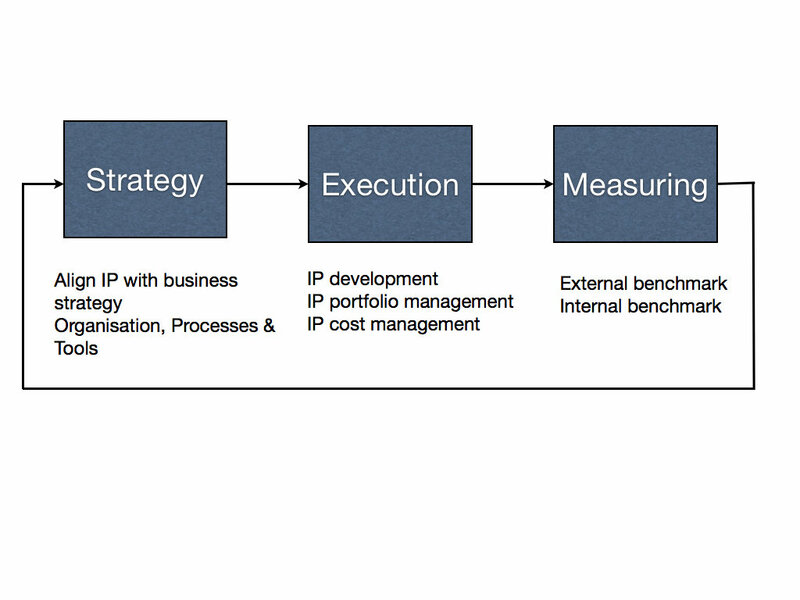 Having defined your IP strategy, the next step is execution. This is the phase including activities such as portfolio management and the IP Factory (ideation - filing - prosecution). Workshops and ideation with R&D teams is a key activity here. Finally, we also provide suitable metrics and follow-up on the results of the strategy.